The canning has been a lot more fun the past couple of weeks. 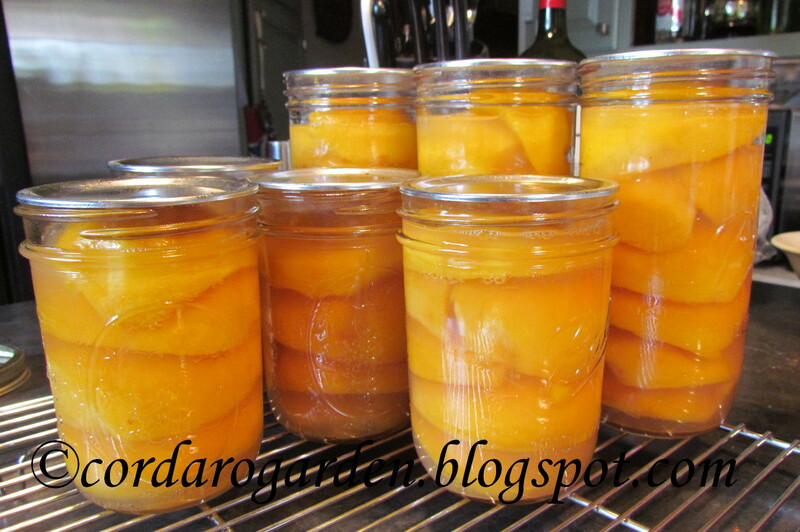 I canned the balance of the peaches that "The Italian" and I got at the orchard. I can my peaches in a mixture of juice and light syrup. First I make some juice from the seconds. I just mash them up and strain the mash through a jelly bag. Then I make a very light syrup (recipe from the Ball Blue Book), combine the two and simmer. We really enjoy the peaches canned this way. My fun jam of the year is this Carrot Cake Jam. Sophia and I made it on Saturday. You can find the recipe here. I'm not sure if it tastes like carrot cake ....but it sure is tasty! With the combination of spices, we think it tastes like fall. 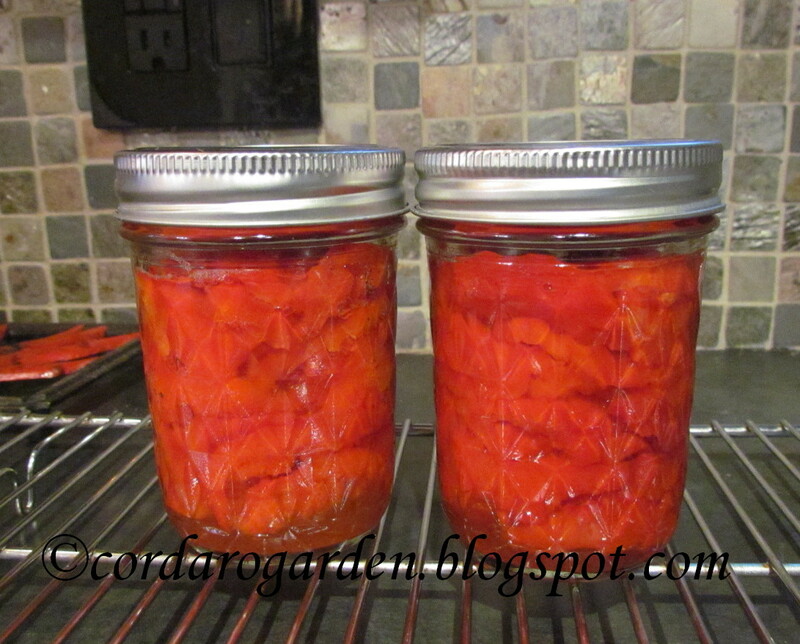 and for the first time I canned some Pimento Peppers! Last year the groundhog ate each and every ripe pepper at the plots. We found how to can them here. 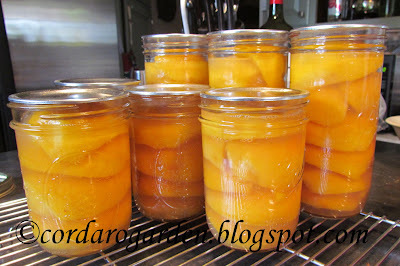 When I was finished canning the peaches, I made peach syrup with the leftover juice and light syrup mixture. I added a little more sugar and let it cook down. Of course "The Italian" had to make a nice drink using the syrup!! Combine the first 4 ingredients in a shaker with some crushed ice, shake, pour into martini glasses, add seltzer or club soda, garnish with a slice of peach and enjoy! What's been going in or out of you Kitchen Cupboard lately??? You have been busy. This week I canned some onions. Sometime today I'll get my post up. I can't wait to see your post! I have never heard of canning onions before. Love the idea of the canned pimento. I assume you grow a specific pepper for those. Wilderness, I grow pimento peppers. Last year was my first year growing them and the groundhog ate them. This year I planted two different varieties and they are doing well. Funny, when I saw the canned peaches I thought "I'll bet there was a peach martini at some point"! I'm still making hot sauce, and drying apples. And I still have hot peppers and apples left! Dave, Are we getting a reputation?? "The Italian" loves to contribute to the blog by making martinis once a week! The peaches look beautiful! I've never heard of the combination of the syrup and peach juice for the soaking liquid. What a great idea! Do you do the hot pack method or cold pack method? TS, "The Italian" came up with the idea of using a combination when we were dating. I do the cold pack method. I have never tried the hot pack method. Sounds like too much work for me! Wow that peach martini looks divine! The canned peaches do to. ;) You have been quite busy canning. 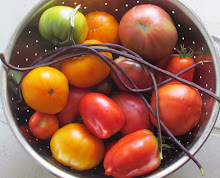 I seem to be more focussed on freezing items for preserving, but have done some canning off and on. The peach martini was great! "The Italian" is pretty good at making up adult beverages :) I really need to get a pressure canner so I can do more canning. The frozen goods take up a lot of room and I am always worried about a long power outage and loosing them. Sue, I try to make one new and unusual jam every year. That was the one for this year. Thanks Nancy, I have never tried freezing peaches. Sounds like a great idea though. 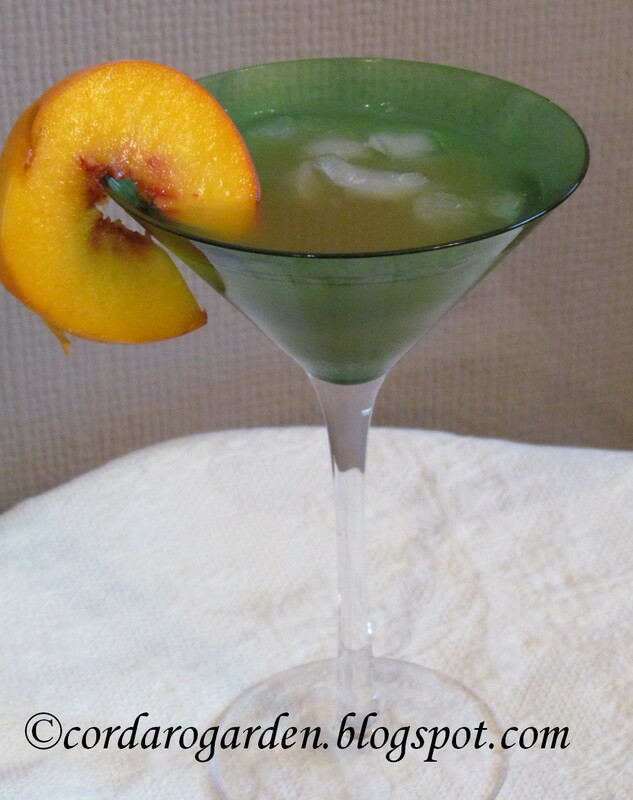 Peach martini, oh my.....looks delicious. 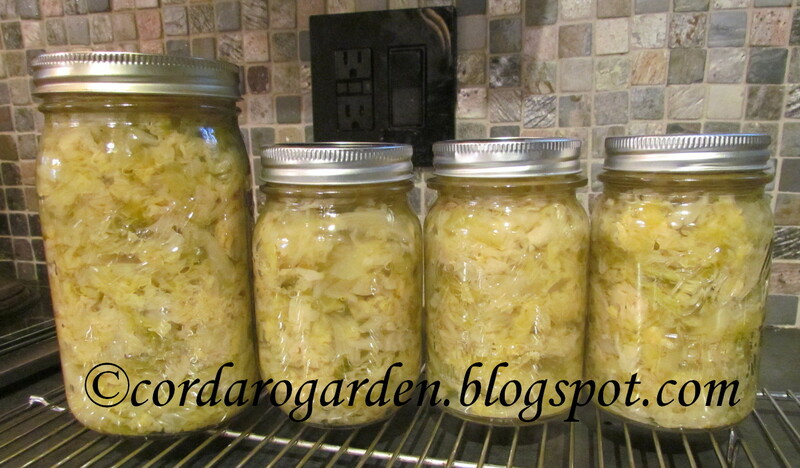 You have been a busy lady with all your canning. 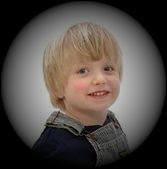 Thanks for sharing recipes, I will be checking them out and maybe even borrowing them, hehehehe!!! Sandy, that's what the recipes are for.... sharing! The way you can your peaches looks great. The "juice" must be so good. The peaches sure do taste good in juice! What a fun change in canning, glad you were able to get lots of fruit stashed too! Erin, the tomatoes were getting a bit boring! I also had pears to can....but, "The Italian" ate most of them. Now I have to go to the orchard and get more! I need to try the carrot cake jam! It sounds wonderful! Christy, the carrot cake jam is yummy! Let me know if you try it and what you think of it.